A big hello from Southern Idaho to all my wonderful readers today. I would like to introduce you to a crime writing attorney. His second book in his crime fiction series has just released and is a book I am looking forward to reading. Please give a warm welcome to Alan Brenham and his newest Jason Scarsdale novel, Rampage. It is great to have you with me today. First tell us a little about yourself. Your likes and dislikes, your favorite foods, your special pets? What makes you…you? I’m an attorney with police experience who loves writing crime fiction. Aside from writing, my likes include dating my wife, travel and watching football. My foremost dislikes are rude people and politicians, although it’s probably hard to tell the difference between the two sometimes. My favorite foods range from steaks to seafood to Italian and German cuisine. I’ve had two pets in my lifetime that I’d rate as special. The first was a German shepherd I brought back from Germany; the second was a snow-white cat who allowed me to live under the same roof with him. What is the title of your current work and what is it about? Alan: My current novel is Rampage. The book is second in a series that follows Austin Detective Jason Scarsdale. 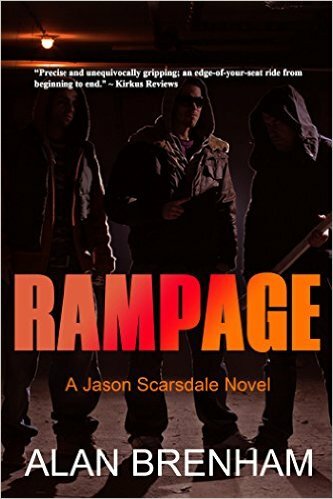 The stakes soar both professionally and personally for Scarsdale as he finds himself in a race against time to hunt down a vicious gang hell-bent on murder. Realizing that his new partner, the attractive divorcee Tatum Harper, could be trouble in more ways than one, he tries to run her out of Homicide. Will their partnership destroy his romantic relationship with long-time girlfriend Dani Mueller? Will he and Harper both survive the harrowing face-off with the increasingly unhinged gang leader? How long did have you been writing and when did you know that writing was what you wanted to do? What kind of writer are you, a plotter or a pantser? Alan: Writing fiction began about ten years ago more as a passing interest. Once Black Opal Books published my first novel, I was hooked. As for what kind of writer I am, the best answer is that I’m both a plotter and a pantser. Plotter first - pantser second. Share your social profiles with us. Facebook, Twitter, Pinterest…where do you spend your cyber-time? Alan: My cyber time is spent on Facebook with Twitter running a close second. What draws you to the genre or genres in which you write? Alan: With experience in criminal law and police service, writing crime fiction seemed like the obvious and most logical genre to spend my time with. Alan: It’s a dead heat between Michael McGarrity and James Hayman. Both men author crime fiction/police procedurals. McGarrity is a former deputy sheriff in New Mexico so we have the police service in common. 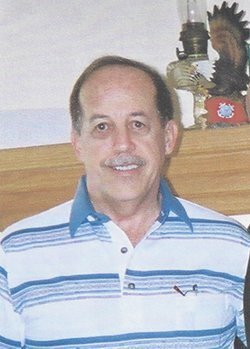 His Kevin Kerney novels paint a vivid picture of the New Mexico setting where the stories take place. Hayman and I share a common birthplace - New York - both of us love Scotch and are married to beautiful brunettes. Hayman’s Darkness First is probably the one book I’ve had the hardest time putting down. Alan: It’s a toss-up between silence and music. It depends on how creative I feel at the time. Alan: Actually I start about mid-morning and go through the creative process until my wife steps between me and the computer screen and tells me that’s it for the day. Alan: The only promotions I’ve been involved with are those with the few book tours I’ve participated in.